POST A PHOTO ON OUR FACEBOOK PAGE! You can hire a court and play when ever you like or register for one of our Adult Social Night Comps. Get a taste of what it is like training like a professional tennis player. High-intensity drilling and hitting, fitness and matchplay. We have a range of different coaches with elite international experience who achieved world rankings in their careers. Our coaches give expert advice on training program’s, match tactics, discipline needed at the highest level and tournament planning. The training squads are run Monday to Thursday nights 5.00-7.00pm. They range from post juniors to 12 years of age. They are held on the Australian Open grand slam surface plexi cushion. You will also receive a free training shirt on enrolment. What surface do you prefer to play on at Boroondara Tennis Centre? What do you value most about Boroondara Tennis Centre? 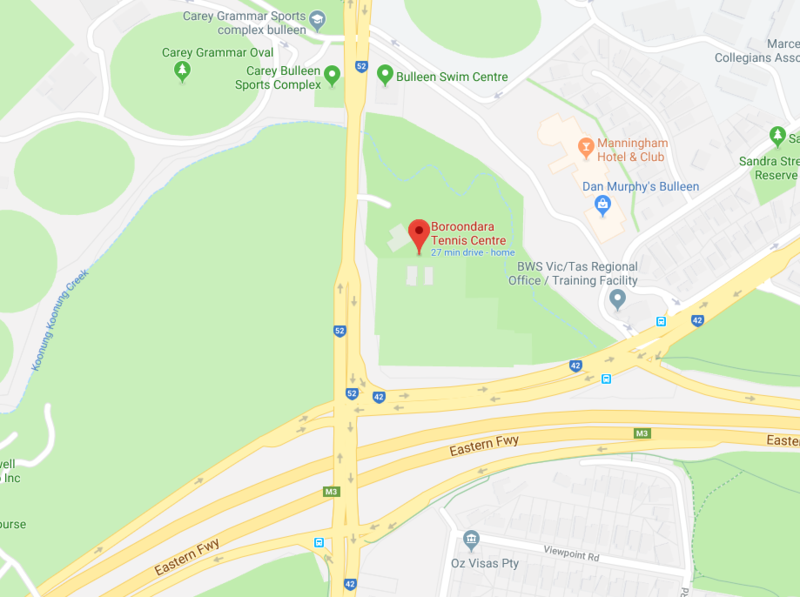 The Boroondara Tennis Centre is a public centre owned by Boroondara City Council and run on their behalf by Maher's Tennis Management Services. Boroondara Tennis Centre for Tennis Court Hire day or night 7 days a week, Tennis Coaching, Social Tennis Competitions, Tennis Racquet re-stringing and Tennis Racquets for sale. Servicing Boroondara and the areas of Balwyn, Bulleen, Doncaster, Kew, Lower Templestowe, North Balwyn and Rosanna with Tennis Court Hire day or night.